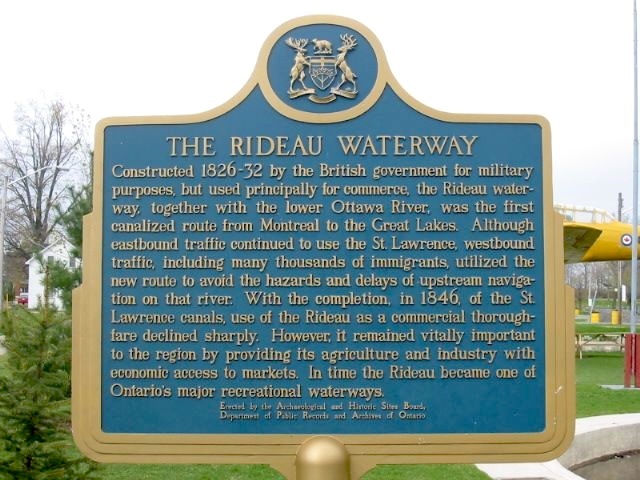 Constructed 1826-32 by the British government for military purposes, but used principally for commerce, the Rideau waterway, together with the lower Ottawa River, was the first canalized route from Montreal to the Great Lakes. Although eastbound traffic continued to use the St. Lawrence, westbound traffic, including many thousands of immigrants, utilized the new route to avoid the hazards and delays of upstream navigation on that river. With the completion, in 1846, of the St. Lawrence canals, use of the Rideau as a commercial thoroughfare declined sharply. However, it remained vitally important to the region by providing its agriculture and industry with economic access to markets. 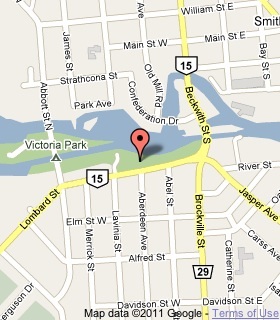 In time the Rideau became one of Ontario's major recreational waterways.